Paperback, 11.25 x 11.25 in. / 124 pgs / 196 illustrations. The first important monograph devoted to this grand master of Italian contemporary interior design: creator of numerous design furnishings. This volume presents a vast panorama of architectural and design projects created from 1986 onwards. 1986 is a turning point in Michele De Lucchi's career for it represents the year of the creation of his famous Tolomeo lamp, the most extensively sold lamp in the world. It has been designed to come in various forms: a desk lamp, a floor lamp or a ceiling lamp. 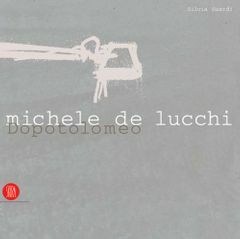 The book DopoTolomeo (After Tolomeo) shows how the creation of this lamp divided De Lucchi's work into a before and after. This highly illustrated volume collects, for the first time, all the design projects from 1986 onwards including vases, lamps, and interiors for the Italian Postal Services to Architectural projects in Japan, and personal notes and sketches. Michele De Lucchi has designed products for Artemide, Dada Cucine, Kartell, Matsushita, Mauser, Poltrona Frau, and Olivetti, for whom he has been Head of Design since 1992. He has designed buildings for offices and museums, built in Japan, Germany and Italy. Silvia Suardi is an architect and interior designer who works for De Lucchi Studio. She also writes for interior design magazines. FORMAT: Pbk, 11.25 x 11.25 in. / 124 pgs / 196 illustrations.